Tapering is quite the challenge, likely due to the increase of race-day nerves combined with the slow and gradual decline in mileage. When you're training for a marathon, the fear is under control because you're actively preparing for the race. Playing long-run catch-up. Whether an injury or life detour got in your way of getting in all your planned long runs, squeezing a long run in the weekend or two before your target race can leave you fatigued on race day with your best efforts already exerted. It appeases your mind but can negatively affect your performance. It's better to go into the race with a shorter long run or fewer long runs than to cram them in last-minute to reach the magic number of long runs on paper. Jumping up in long-run mileage. 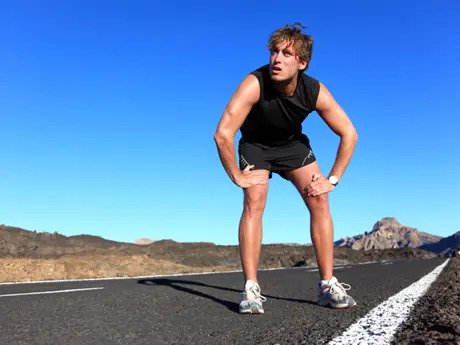 It can be tempting to jump up in miles too dramatically (ex: from 16 to 20 miles) in the final phases of training to reach the magic number (20) but when you do, you risk injury, fatigue and a suffer-fest. There's nothing worse than to go into the marathon just after a humbling long run. It can really mess with your mind and your body. It's not about reaching 20 miles; it's about toeing the line as strong and recovered as possible in that given season. One of my best marathons was done on one 16-miler. The foundation of training is more valuable than one or two long runs. Trying anything new. By far this is the number one way most marathoners get themselves into trouble race week. Nerves kick in and everyday easy decisions like which shoe to put on your foot first become impossible to answer. I once sat for 30 minutes trying to decide which pants to wear to an expo! It's a form of brain freeze that can cause you to veer off your tried and true path of logistics and wear new shoes, eat spicy new cuisines, or think that painting the house race week is a good idea—true story. When you start to question yourself, know that it is the nervous gremlin and breathe through it. Stick to what you know and what you've trained with, and let the urge to try anything new pass right by you. Instead, follow the Golden Rules of Race Success to run your best race ever. There isn't one formula for tapering that works for every runner. Younger runners may do well with a two to three week taper while mature athletes require three to four. The general rule is to reduce the volume of mileage first and then the intensity along with it. And race week is all about keeping your legs loose and your mind busy. Remember, tapering is to marathoning as sleeping is to wellness. They are both important for optimal life performance.